Physiotherapists in Dingle : Please book in advance for each Wednesday. Eddie O’ Grady BSc. (hons.) M.I.A.P.T. is a degree qualified Physical Therapist and a member of CORU, the government regulatory body for physiotherapists and health care professionals in Ireland. He is available by appointment for physiotherapy at Ré Nua Clinic, Goat Street, Dingle, each Wednesday. Please call Eddie on (086) 7700191 to make an appointment and/or to discuss the condition you wish to have treated. Treatments by our physiotherapists in Dingle are covered by all major Irish health insurers; these include; Aviva, VHI, Laya, Garda Medical Aid, and the Hospital Saturday Fund. Eddie specializes in proper deep tissue sports massage and in the treatment of musculo-skeletal pain. Treatment techniques used also include dry needling and osteopathic manipulations. Along with with full hands-on treatment sessions he will provide you with a tailored home rehabilitation plan, designed to assist you in your recovery. Exercise programs are kept simple, injury specific and all will be demonstrated thoroughly to you at the physiotherapy clinic. Orthotics are also prescribed for various lower limb and foot conditions by our physiotherapists in Dingle. We can custom design your orthotics by casting your feet and doing gait analysis. Off the shelf orthotics are also available, at a fraction of the price and often do the trick. For more information click on our homepage here, for treatments used click here, and for orthotics click here. The above list is by no means exhaustive, so please get in touch if you would like to discuss your particular ailment with Eddie prior to making a physiotherapy appointment. Treatment sessions can be up to one hour long. Please allow sufficient time. (Note, children under the age of 16 must be accompanied by an adult at all times). A chartered physiotherapist is also employed on a part time basis in Dingle to assist Eddie with his heavy workload. Semi- finalist in Beijing Paralympics, holder of over 30 All-Ireland titles, Gold medalist European championships 2001, winner of multiple silver and bronze medals in European and World Championships, Winner of Dublin City Marathon 1995 and much more. One of the best physiotherapists I have been to during my sporting career. 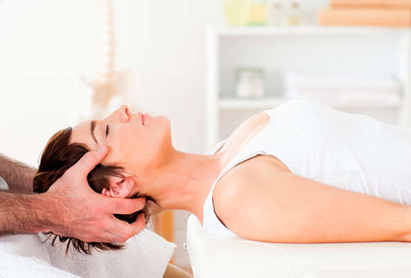 Extremely knowledgeable and effective in his treatments. Race Director of the Tralee International Marathon and co-founder of Born to Run marathon club. I have found Eddie to be an excellent physiotherapist when I visited him. He puts a lot of effort into his treatments and I am happy to recommend him to my fellow runners, especially since feedback from them has always been very positive. Ballyheigue) (riathlon and Ironman competitor. Division 1 & Interpro rugby player and triathlete. I find Eddie to be very professional, knowledgeable, informative and extremely effective in his physical therapy treatments. The late opening hours are also very handy because of the hours I work. I had several injuries during my training for the Tralee Marathon which included a muscle tear and also severe back pain. After all my training I thought I wouldn’t be able to compete. A friend recommended that I give Eddie a try for physical therapy as I was having trouble getting my injuries diagnosed and sorted. He quickly identified my problems and had me ready for the big day. You can see he is passionate about his work and he often spent extra time working with me at no extra cost, eager to get me right. I have since passed his number onto several other people and all said they were very happy with him. He is an excellent physical therapist. I regularly refer clients to Eddie because I have been so satisfied with the service he provides myself, as are my clients. I highly recommend him. I find Eddie O Grady to be very accommodating, competitively priced and above all, he is a great physical therapist. I highly recommend him. Tralee Born to Run marathon competitor 2013. I had pains in my knees when preparing for my first marathon in Tralee this year. A friend of mine recommended Eddie to me. He quickly identified the problem and sorted it. I found him both friendly and enthusiastic and was very happy with my treatment. We have found Eddie O Grady to be a huge benefit to both ourselves and our clients! We happily refer our clients and members to Eddie for physiotherapy. His no nonsense approach to getting people back training as soon as possible in a safe manner is exactly what we want for ourselves, our clients and our members! We find Eddie to be very knowledgeable, experienced and enthusiastic and the feedback we have gotten from people has also been very positive! I have been to Eddie with several sporting injuries over the past couple of years and he has always got me back on track. I find him extremely knowledgeable and effective. I highly recommend him. Irish and World Drug Free Powerlifting Champion, Irish and World Record Holder. ”I can honestly say that I would not currently be lifting in the highest level of powerlifting without Eddie’s help over the last 2 years. A therapist with excellent knowledge and ability. I highly recommend his services.” James O Connell, Multiple times Irish Powerlifting Champion. Number 1 ranked Raw powerlifter in Ireland. World powerlifting champion 2010. World record holder at both 110kg and 125kg classes in the total lifts. Can’t recommend Eddie enough, great Physio, he will have you back on the road in no time!. He always does his best to work out a solution to your issues and will work around you time wise as well. Lots of my running friends go to Eddie and the feedback is always excellent . Excellent physio, has brought me back from numerous injuries and has helped keep me healthy as a competitive powerlifter. I highly recommend eddie to all my fellow athletes and friends. Easily the best physio I’ve been to and can’t recommend him highly enough.